CLAMPS INCLUDED IN PACKAGE ONLY. REPLACEMENT LEGS NOT INCLUDED. Does your sectional sofa constantly slide apart? 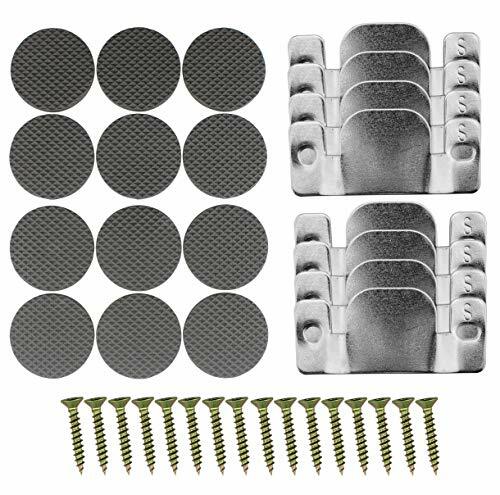 Forget ineffective furniture grippers or expensive bracket connectors with complicated installation instructions. Couch Clamp is the simple solution in preventing sectional sofas from separating. By placing the band around the pre-existing legs of your sectional sofa, your couch will never slide apart again. 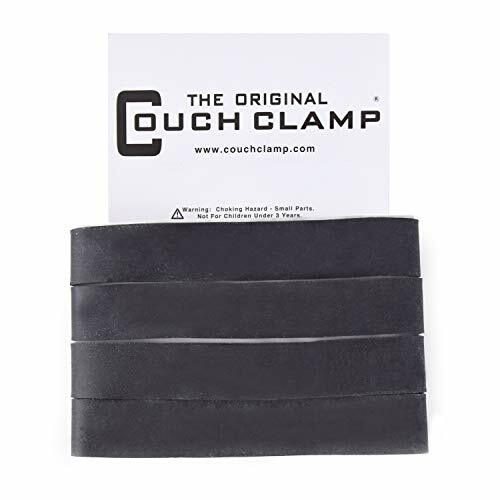 Couch Clamp's time-tested durable rubber surface grips the legs of your couch, keeping it in place and attached at all times. 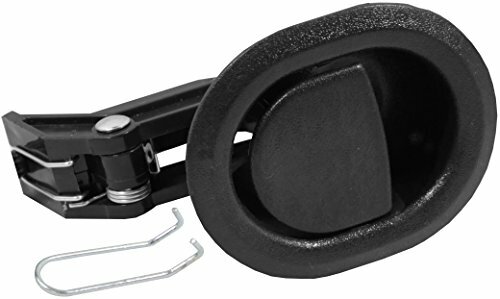 Couch Clamp is a simple, inexpensive, quick, innovative and highly effective tool to keep your sectional sofa connected. It's time to put a stop to your frustration. Keep your sofa in place at all times with Couch Clamp! Other options, such as installing carpeting or purchasing new furniture, can be unsightly and expensive, leaving you with less-than-stellar results. Couch Clamp is every sectional's inexpensive, undetectable and flawless solution. Fits round, square, triangle, and some tapered legs. Each pack includes 4 Couch Clamps. Hand Control For Okin & Dewert and others. It has Round 5 Pin Connector. This control replaces Dewert and Pride Hand Controls also. Pride Lift Chairs, Okin, Dewert, La Z Boy, Best, Berkline, Franklin, Action, Med-Lift, and other numerous other brands. A bad hand control is the most common lift chair problem and this takes care of it. If the Chair moves a all you most likely just need a new hand control to correct your problem. Solid steel with a soft grip handle and padded interior protects the handle of the chair. The Lever Extender's easy adjustment and secure fit works with all types of recliners. No assembly required, tool included for placement.Durable - Made of heavy duty steel. Sectional sofa/couch interlocking furniture connectors used to keep sectional from coming apart. Easy to install with the screws included. Check Pictures for Benefits and Measurements Important Cable Hook is included and comes in Genuine RRRP Brand packaging. This is a universal small pull handle. This size handle is found in Ashley recliners, but NOT limited to that brand. HANDLE ONLY This universal replacement handle is found in Ashley and most major recliner brands and can easy fit to existing cable. 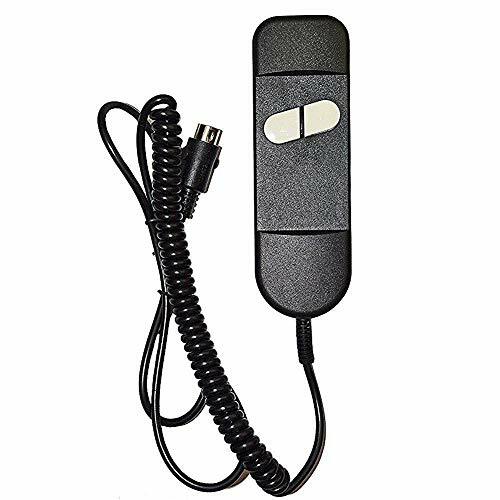 COMES WITH IMPORTANT CABLE HOOK Critical hook to hold cable on to handle is included. SIZE & COLOR The outside face is 3 by 3.5 and the color is black. RELIABLE Plastic and fits both a 6mm and 3mm cable. GUARANTEED RRRP (Reliable Recliner Replacement Parts) offers only the best quality parts for Recliners, Sofas and Couches. 100% Satisfaction or No Hassle Refund. EASY TO INSTALL - The furniture legs are provided with mounting plates and screws for installation, retrofit your furniture fast and convenient. 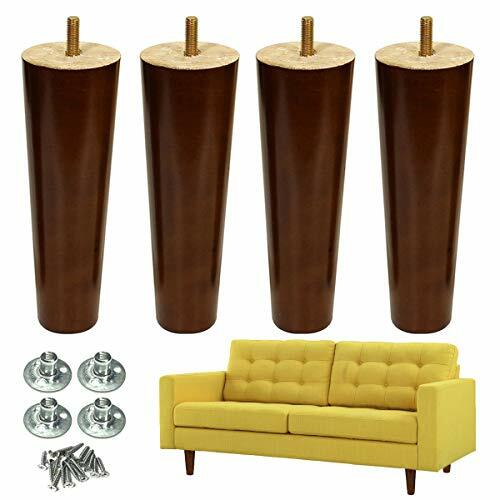 MID-CENTURY LOOK- The wood legs are painted dark walnut, which is nice color for all styles of furniture. 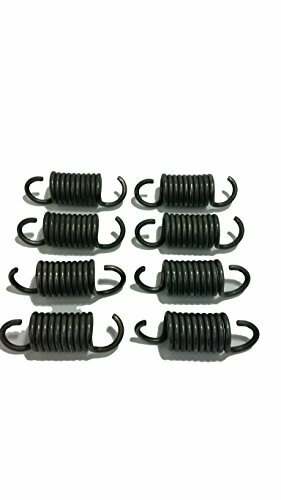 If your Daybed or Sofa Bed is missing springs, these True Choice universal replacement springs will save the day and save your guests a good nigh sleep. These springs are very strong, yet they have just the right amount of give. Sold as a Set of 8 Replacement Springs. 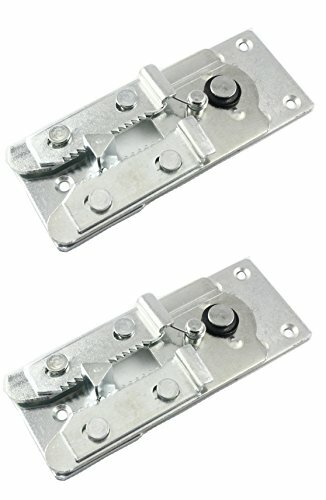 2 Pcs Metal handle,Constructed of Zinc alloy,heavy duty.It fits for most reclining sofas and chairs.Metal Large face to replace the Original Plastics small face handle.Lifetime warranty.Length:4.5 inch,Width:2.7 inch,Depth: 1.5 inch.come with a bonus 60" tape,please check the picture . 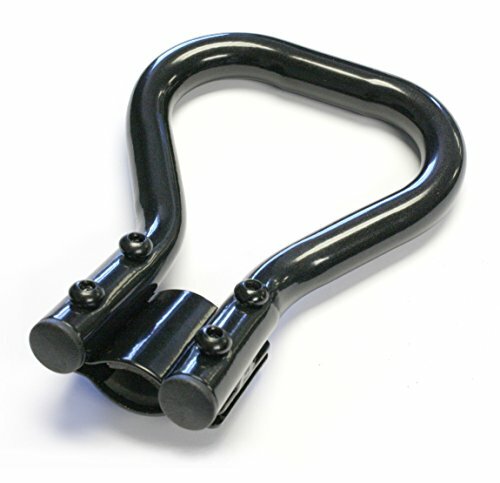 2 Pcs Metal handle,Constructed of Zinc alloy,heavy duty. come with a 60(150cm) tape . 10' LENGTH ROLL - you may cut to the size(s) you need for the job. Cut sections must be straightened to match the spring being replaced. Spring bender tool information available upon request. 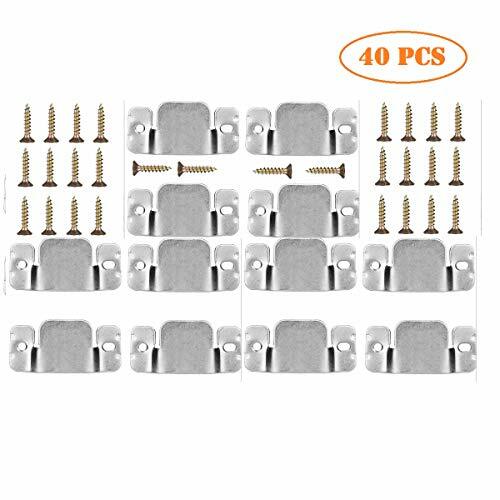 Perfect for seat and furniture restoration (recliners, sofas, truck and auto bucket and bench seat cushions or backs). 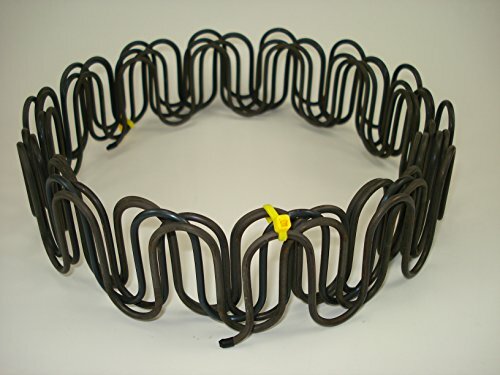 MADE IN THE USA since 1934 - composed of high-carbon, high-tensile oil-tempered spring wire used by manufacturers and producers of furniture and bedding, automotive and truck seating, plane and train requirements; theater seating, and other applications. THE 11 GAUGE springs are used for seat backs or normal-use seat cushions. See image for gauge comparisons. 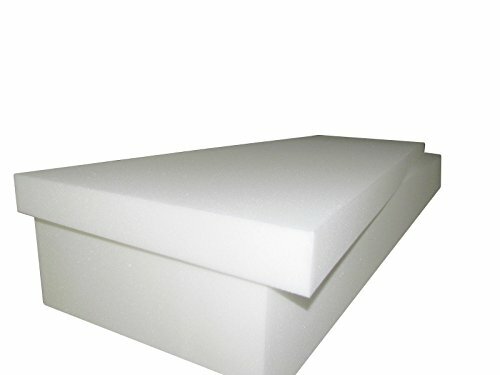 NEW: Polyurethane Foam 5"x30"x80" 1.5 pound ILD: 36 (compression rate) Polyurethane Foam one of the more impressive everyday uses of polyurethane foam is in mattresses, mattress toppers, mats, temporary mats, couch, seat and bench cushions because of its comfort and lifespan. Today's high density polyurethane foam will retain its form and support, extending the life of your mattress, couch or chair for years to come! This makes polyurethane an ideal choice for oddly shaped custom cushion needs, such as cushioning for an RV, boat or refurbished vintage furniture. Polyurethane foam is available in varying firmness and qualities. Foam cushions are the ideal solution for upholstery, camping pads and mattresses. Whether you need the perfect cushion for a boat seat, a foam cushion for an RV, new polyurethane foam cushions to restore an old sofa or chair Will Last 3 to 7 Years *** CARE INSTRUCTION *** FOAM PACKAGES NEED TO BE OPENED IMMEDIATELY ONCE YOU RECEIVE THE PACKAGE. DO NOT LET THE FOAM SIT UNOPENED FOR MORE THAN 1 WEEK IN ORDER TO PREVENT DAMAGE! DO NOT OPEN WITH A BOX CUTTER! USE A BALL POINT PEN OR A PENCIL. START BY MAKING A LITTLE INCISION AND BREAK IT FROM THERE. When unpacking *** must take the compressed foam out of the box *** unrolled to relax on flat surface for compressed foam cells to breathe in the air *** allow at least 3 to 4 days for the foam to breathe in order to recover its original size and form from being compressed for shipping *** we compress everything down to the most economical size to keep our shipping cost down. For orders to Alaska and Hawaii, customers should send a message or contact us through amazon contact seller "Isellfoam" with their order so shipping costs can be computed fairly. Free Shipping to Continental U.S. Lower (48) State, For orders to Alaska and Hawaii, customers should send a message or contact us through amazon contact seller Isellfoam with their order so shipping costs can be computed fairly. Polyurethane Foam one of the more impressive everyday uses of polyurethane foam is in mattresses, mattress toppers, mats, temporary mats, couch, seat and bench cushions because of its comfort and lifespan. Feature: Sectional sofa/couch interlocking furniture connectors used to keep sectional from coming apart. Easy to install with the screws included. 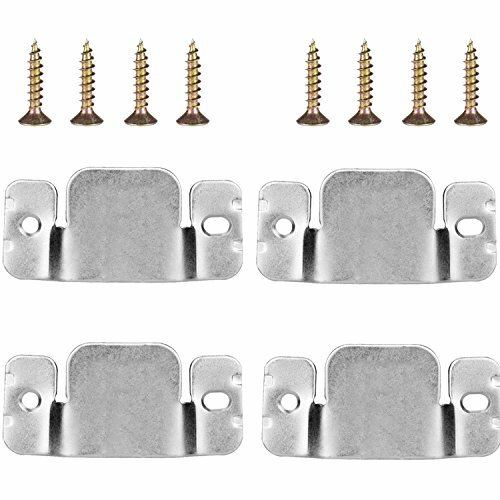 Specification: - Size: 3.7 * 1.8 * 0.08 inch - Screw length: 1.18 inch - Weight: 0.53kg/ 1 set - Material: heavy duty metal - Color: silver Package included: - 12 x sofa connectors - 28 x screws Customer Service: If you have any problem of our product, you can click "seller contact" button in your Amazon account to email us. we would be delighted to help you and we will reply as soon as we can. use to connect sectional pieces, two sofas, etc. Why use brackets? These are much sturdier and stronger than connectors that come with many new couches. 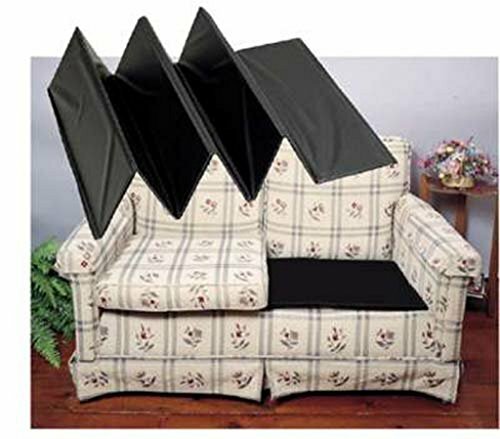 These are easy to slip apart to separate for when you do want to separate furniture. These are much safer than free moving pieces. Estimated installation time: 10 to 20 minutes. 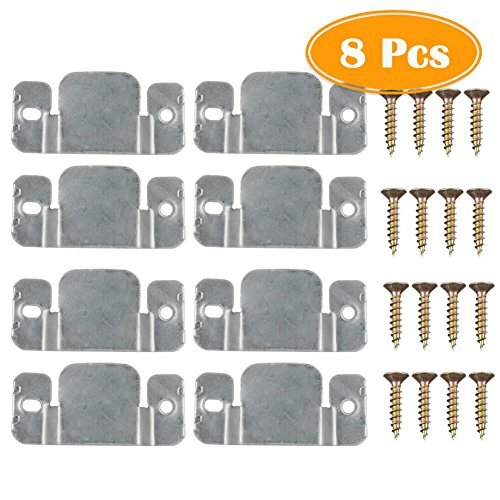 HEAVY DUTY CONSTRUCTION: Sturdy iron clips, no more plastic! UPGRADE, REPLACEMENT, SOLUTION: Upgrade from poor quality factory hardware, replace old or lost brackets, or solve that mobile couch problem. SAFETY FIRST: Especially with children or pets around, you don't want your couch to split on you. And with an 8-pack, you can double up for an especially sturdy set up. BONUS: Also includes complimentary non-slip furniture pads to protect your floor from scratches and reduce noise. 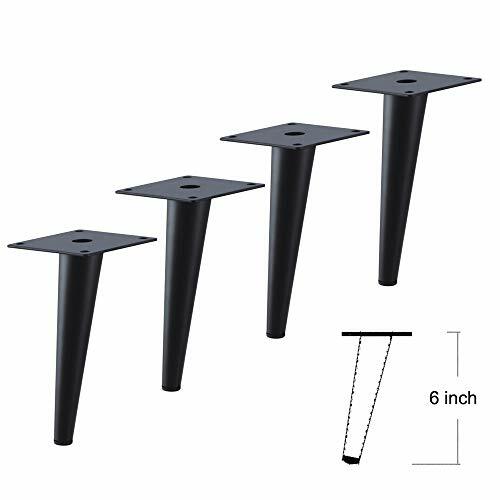 Fits Good - Classic Tapered Shape Universal Metal black legs fits all styles of furniture in all colors, dresser, TV bench, sideboard, chest of drawes, cabinet, end tables, vanity, cubes and etc.. Best part for DIY furniture. 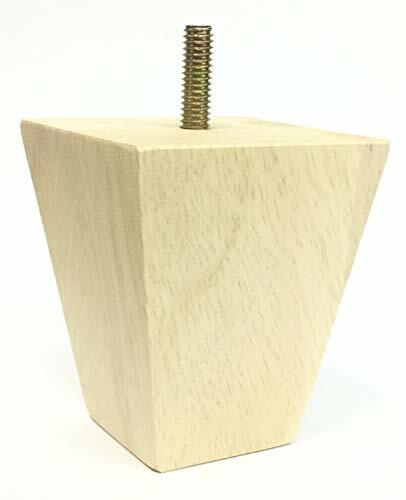 Good Quality - The 6'' high legs are made of solid Metal and finished under strict quality control. 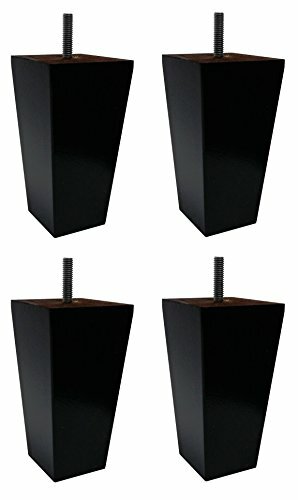 Sturdy Support - 4pcs furniture legs support a weight up to 800lbs. Help to raise your sofa, couch, armchair to a comfortable height. Easy Used - Get the new legs fixed within 10 minutes.The metal legs not include screws..